Classic Ironworks are your balustrades experts in Banwell and the South West. Our in-depth knowledge in balustrade design and dedication to our customer base allows us to produce stunning and bespoke designs for your home. 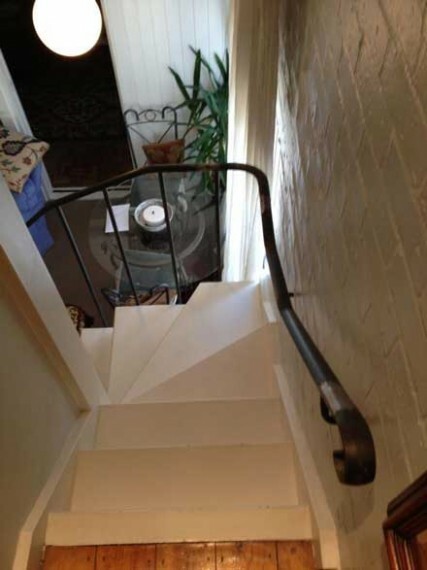 As leading balustrade suppliers and manufacturers, we can manufacture and install banisters and balusters to any area of your home, and in the material of your choice. Choose from wrought iron balustrades, steel and glass designs, cheap glass balustrades, and cantilevered glass banisters. Or choose from many more traditional and modern designs for your home. As leading wrought iron balusters experts in the local area, wrought iron balcony balustrades from Classic Ironworks are found on many properties in and around Banwell. Our traditional and modern balustrades will be manufactured to your exact specifications. Our designs are also available in a combination of two or more materials such as steel with glass balustrade details. When we fit glass for balustrades, we work to stringent glass balustrade regulations. We ensure the highest level of safety and security of your new project. Contemporary balustrades are an excellent choice for modern properties. We will always use our artistic flair and creativity to ensure that your baluster design will be in keeping with the style and design of your property. A glass balustrade UK from Classic Ironworks will add light and value to your property. Glass for balusters is an excellent choice for both exterior and interior areas of your home including a garden balcony bridge or a staircase glass balustrade in your modern lounge room. If you are searching for balustrades manufacturers in Bristol and Somerset, we strongly recommend you contact Classic Ironworks. We will provide a no-obligation consultation for your new or existing project. From stainless steel balustrading for your roof terrace to elegant glass balusters stretching over an ornamental bridge in your garden. We are confident that we can supply and install exactly what you are looking for at a price that you can realistically afford.